Availability: In stock - ships direct from mfg. Allow 7-10 days for delivery. You will earn 3759 Points for purchasing this product. 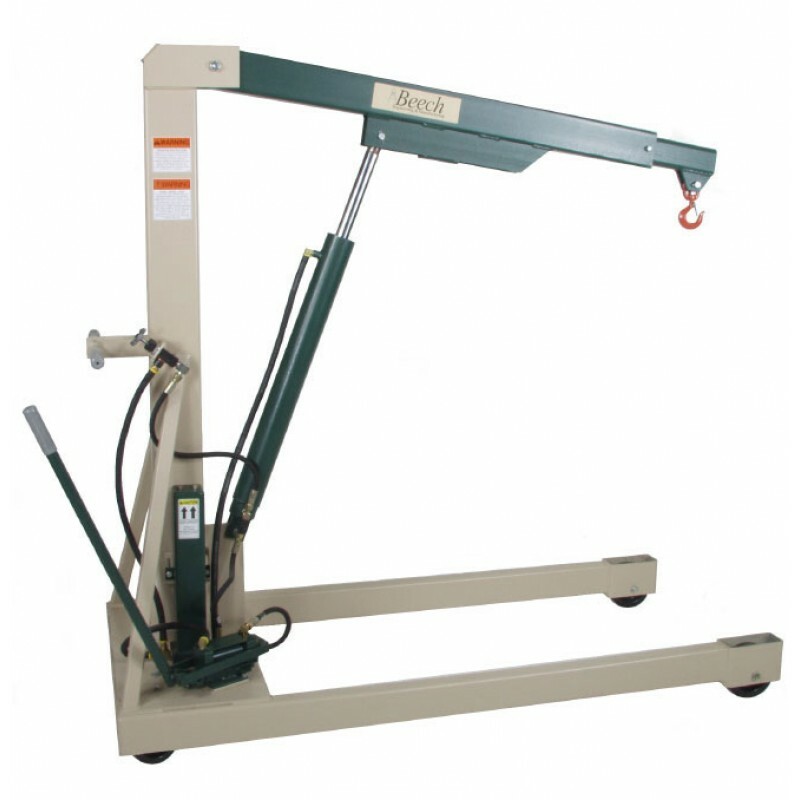 Featuring the highest capacity of any of our floor or straddle cranes, the B-3000 can carry up to 3,000 pounds safely and easily. 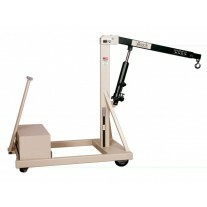 With a lift height of 105", while weighing only 525 pounds, the B-3000 is ready for those heavyweight lifting jobs. 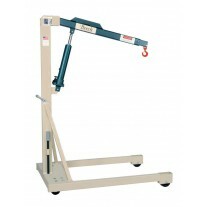 Lift height of over 105" at full capacity. Safety Swivel Hook is attached directly to extension boom. 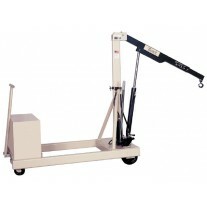 For ease of movement, oversized roller bearing phenolic 8" diameter x 3" wide load wheels and 6" diameter x 2" wide steering casters are standard. Safety by-pass relief valve is standard to prevent dangerous overloading. Each machine is factory proof tested to 150% capacity. 2-year warranty on entire machine, 5 year on frame weldment. 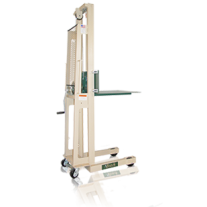 Exceeds ASME PALD-12 and ANSI Z535 Standards. Manual 545 lbs. 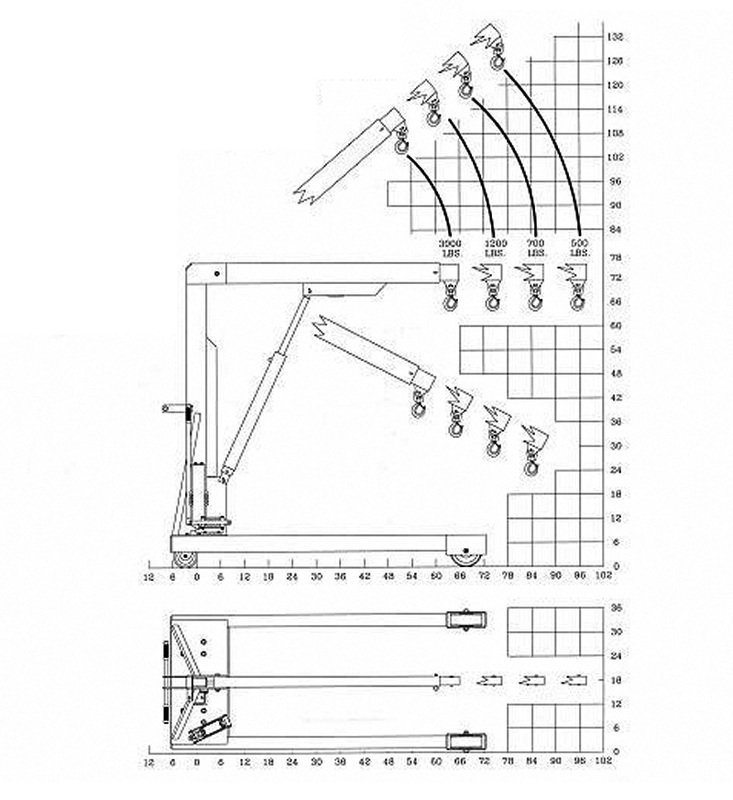 63 3/4"
24 1/2" 64 1/2" 35" 79" 76"
1 Measured from centerline of mast to the centerline of the load hook. 2 Add 9” to maximum hook height to assure overhead clearance. - ships direct from mfg. Allow 7-10 days for delivery.